Hiring an Event Photographer: What to Know? Excellent photos delight customers and help to cover events in the media. However really good shots are not obtained by the magic, even if an event photographer is a real professional. If your photographer does not have clearly defined goals, what he needs to get, nobody will judge his entire talent. Before the event it is important to let a photographer understand what is the plan, so that the tasks of the photographer are fulfilled. Here are a few tips from event-managers, photographers and PR specialists, which you will need, if you want to have great pictures of your event. Ask guests to come earlier, then the photographer will have time to take a group photo. Assign a time and place in advance. If there is a celebrity or a media person among the invitees, ask him to pose separately. Have the pictures of the sponsor’s stand before the guests arrived, and then during the event, to show the interaction of the guests with the sponsor. Photographs taken at close range do not give a complete picture. The organisers, who ask to shoot the event in detail, are often forgotten to ask to take a picture of its general appearance. It can be shoot from above, and then you get a photo that will show how your event looked like in general. Ask the photographer to take some pictures of a venue where the event is held. If you hire a right club photographer london, he definitely already know that. So you can, for example, replenish in your archive of event venues or discuss later the positive or negative side of it. During the awards ceremony, it is necessary to take pictures of the prize-winners and the people who award these prizes. If you know in advance what moments at the event will cause the most emotions, ask the photographer to capture them. It could be a handshake of high-ranking officials, cutting a red ribbon or a main presentation. Take a few pictures of the guests who came to the event from other cities. Later you can send these photos to their local press. 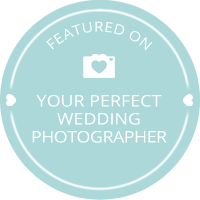 How much does a good wedding photographer cost?